It’s that time of year– the snow is melting, the wind is a little less frigid, and the Wisconsin Grilled Cheese Championship is coming back. Just about a month from now, April 27th, the 3rd annual competition will be held at Harris Park in Dodgeville. We here at Driftless Appetite have been involved with the Championship since the beginning. First as a competitor (Leslie) and then as a judge (Keith). 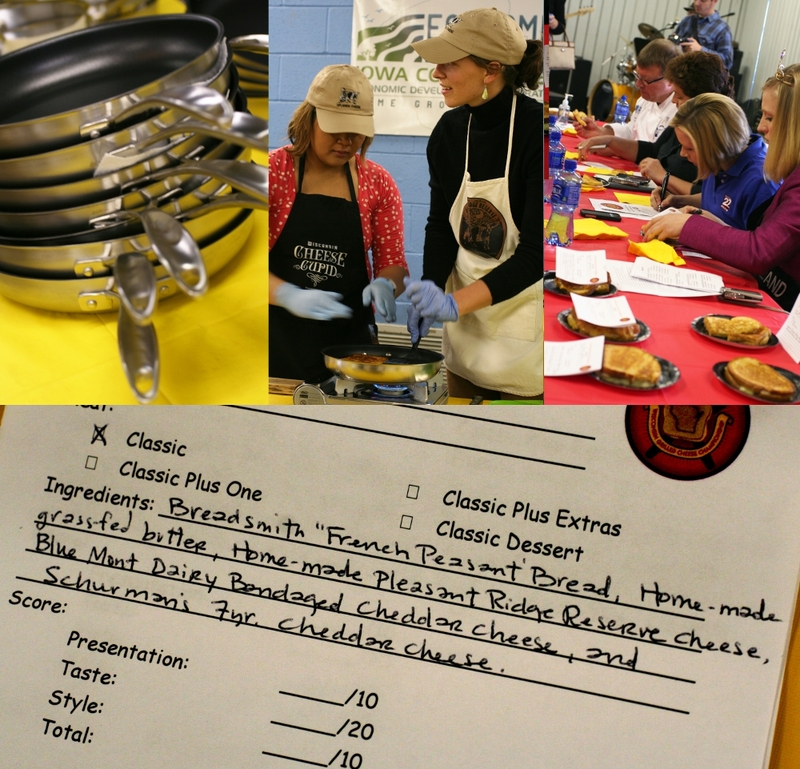 Judging at last year’s event was a blast and I was thrilled that they asked me back this year. I believe right now there are a few slots left open for competitors, but you’ll want to act fast. Check out the WGCC website or their facebook page for more details. You should also check out the Wisconsin Foodie episode filmed at last year’s event (see it here).